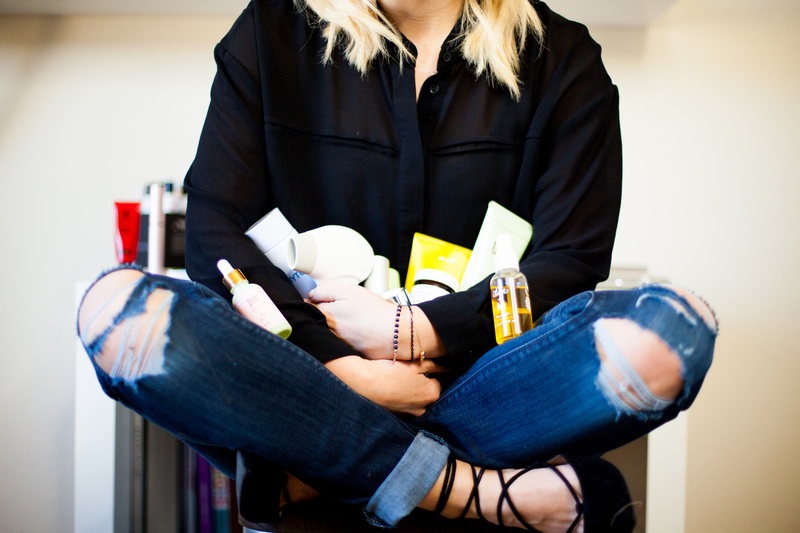 Non-touring is the latest beauty trend to hit our bag of makeup tricks. 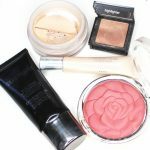 Like strobing, non-touring incorporates highlighting the skin to give a natural glow and an overall healthy complexion. Since non-touring is the exact opposite of contouring, it’s a million times less complicated, and a beauty trend that everyone and anyone can do. In fact, for those of you that are for easy beauty tips, the non-touring makeup trend is for you. If you saw my post on strobing your makeup, you are probably wondering what the difference is between non-touring and strobing. You also might be wondering if non-touring is just another term for highlighting. 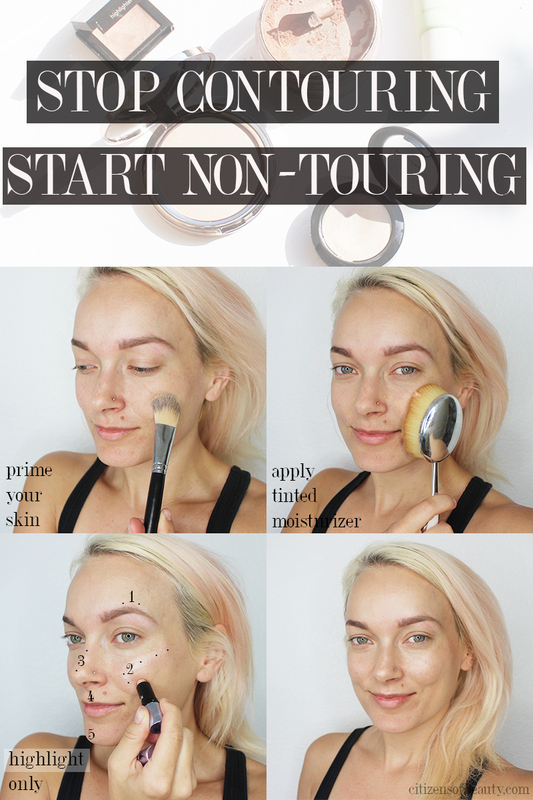 So, let’s break down what non-touring is, how non-touring compares to strobing, and what basic makeup essentials you need to get the look. 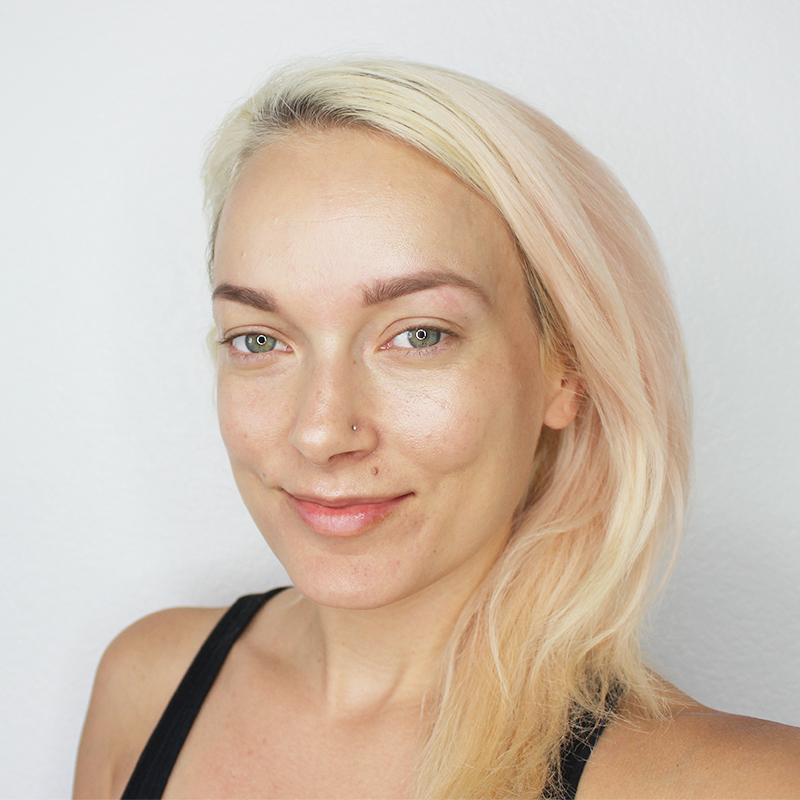 Non-touring is another highlighting technique that gives an overall glow to the skin. 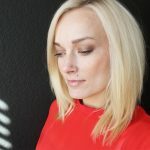 Instead of focusing on specific areas, non-touring is a more holistic highlighting trend that gives the skin a healthy and vibrant appearance. With that said, this does not give you permission to make your face a sparkle fest, disco ball party. Please for all of the humanity, don’t do that because I will cry. The non-touring makeup trend is very tasteful and an almost no makeup, makeup look. People will comment on how beautiful your skin is and be shocked that you are wearing any makeup at all. 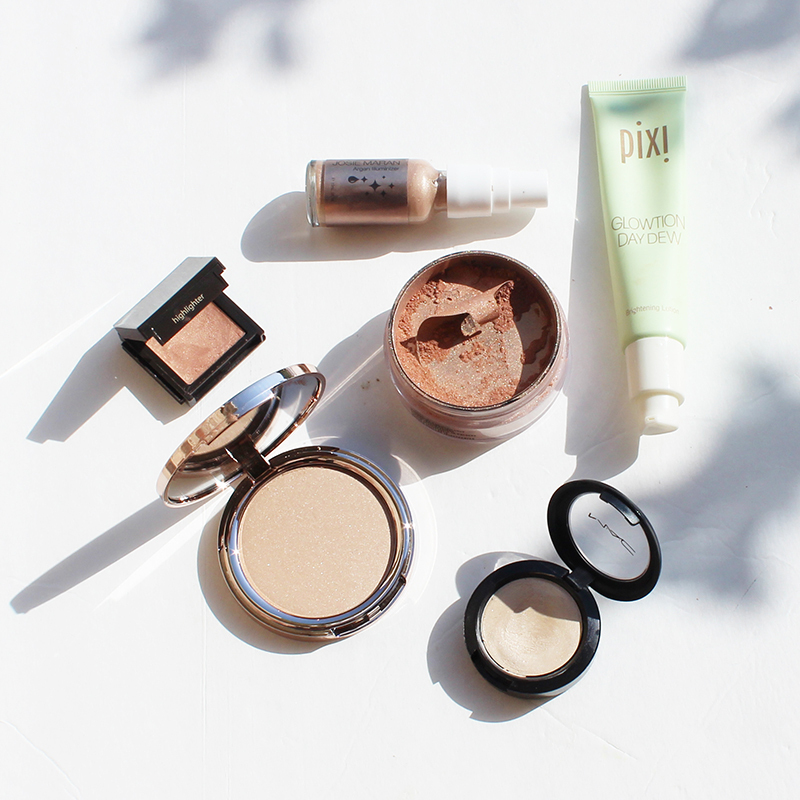 Less is more with non-touring your makeup. There isn’t a huge difference between non-touring and strobing, but enough that you will want to pay attention. When you strobe your makeup, you are just highlighting points of the face, whereas non-touring brings an overall healthy glow to the skin. Less is more with this beauty trend. If you are wondering if you contour at all when you non-tour your makeup, the answer is, please don’t. 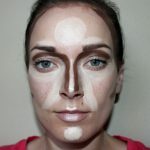 In fact, non-touring is the exact opposite of contouring; it highlights specific points of your face like above the brow, lip, upper cheekbone, nose and chin. It’s a great way to draw attention to the peaks of the face and avoid the much dreaded overly highlighted look. First, you want to make sure that you skin is prepped by using a skincare exfoliant and hydrating well. I can’t stress the importance of amazing skincare when it comes to having an excellent makeup look. It truly goes hand in hand. 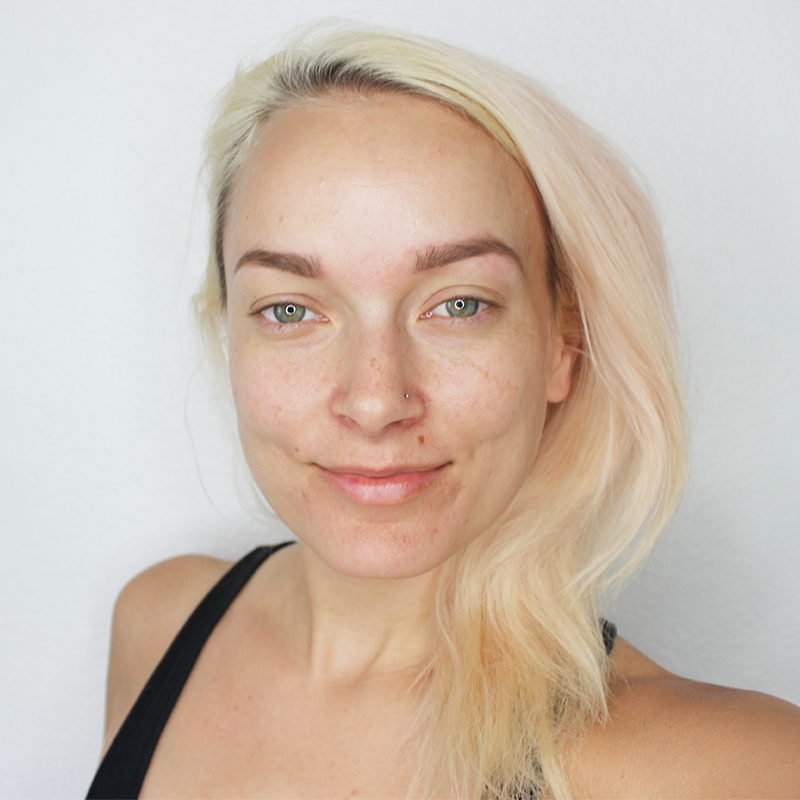 So please, for the love, buy skincare that works before you ever invest in makeup (end rant). 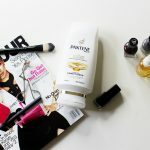 After you prep your skin with skin care, you want to use a face primer to help even and smooth out the skin’s texture. While we are going for a natural look, we want the skin to look it’s absolute best. A great option for priming the skin is the Too Faced Primed and Poreless Skin Smoothing Face Primer. 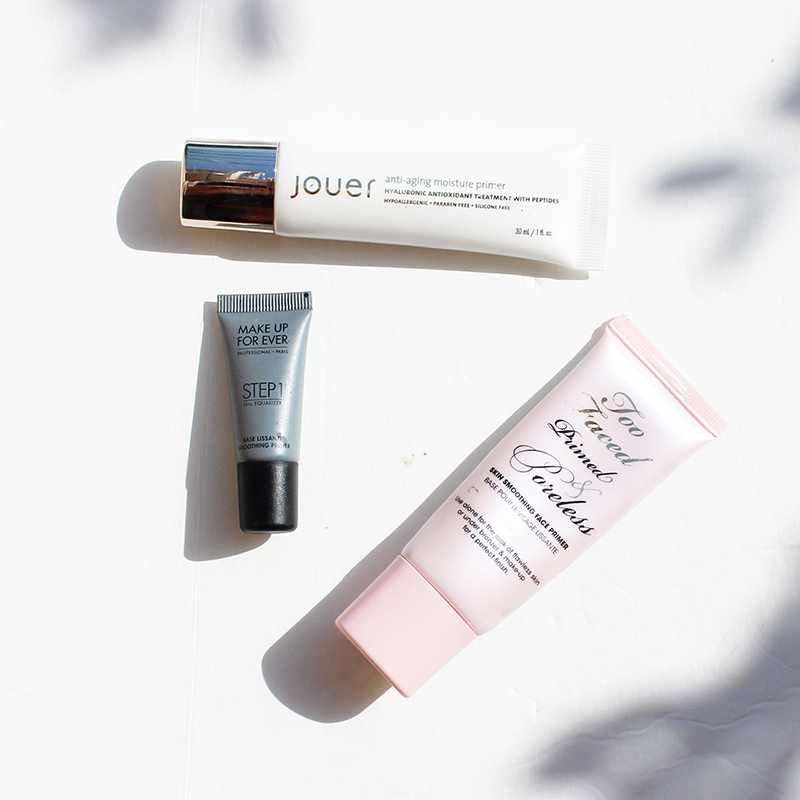 Also, Jouer Cosmetics makes a fantastic primer for extra hydration and Make Up For Ever is a makeup artist favorite primer. 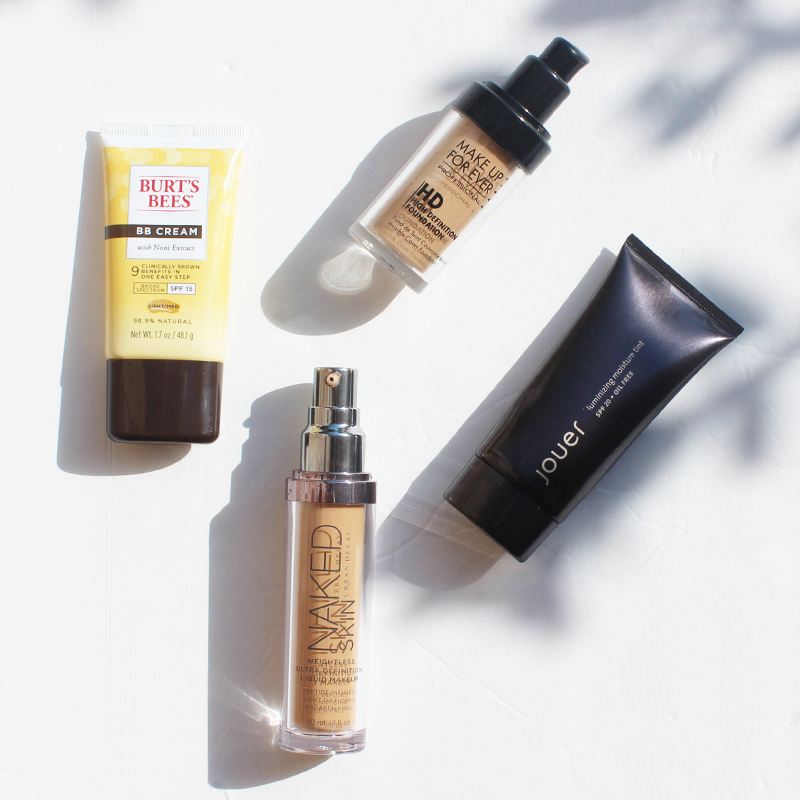 Next, apply either a tinted moisturizer (Jouer Cosmetics Luminizing Moisture Tint) or light-weight foundation that leaves you dewy and not greasy like the Urban Decay Weightless Foundation. 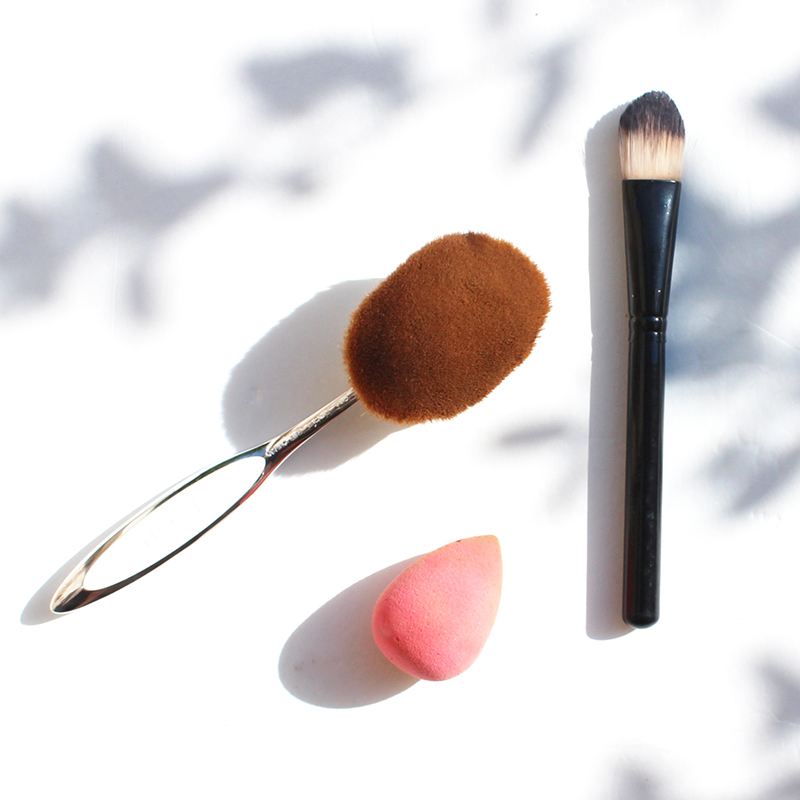 One of my favorite tools to use right now for applying foundation is the Artis Oval, brush 10, but using your foundation brush or beauty blender will work great too. 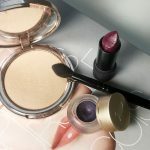 Now that you have done the first few steps in non-touring add either a cream or powder highlighter to the perimeter of the apples of your cheeks. 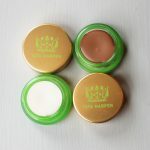 If you have dry skin, a cream highlighter is going to be perfect, and for those of you with oily skin, try using a powder highlighter. 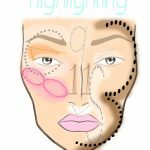 If you are using a cream highlighter, your fingers or beauty blender will work best for the application. For a powder highlighter, use a fan brush or this duo fiber makeup brush from Sigma for an even application. You should also highlight above the arches of the brow, the cupids bow, the center of your nose and even the center of your chin. For these smaller areas, you can either highlight with the tip of a beauty blender or use a smaller makeup brush to keep the product from going places it shouldn’t be. Like I said before, we are not going for disco ball status here. Speaking of the disco ball, you can avoid this look by not only avoiding putting on too much highlighter but also by choosing the right color of highlighter. If your highlighter does not compliment your skin tone, your non-touring is going to look all shades of awful. Just being honest. So, here is how to choose the correct highlighting color for you and your skin tone. If you have cool undertones to your skin, silver to cream colored highlighter is going to look the best. If you have warm undertones, use a highlighter that is pink to gold in color. If you have a neutral undertone, you can use either shade of highlight. The biggest no-no when using a highlighter is the appearance of ashy skin. So make sure you know if you are cool, warm, or neutral in skin undertone so that you get this non-touring makeup trend on lock. You can shop my links for my favorite makeup products to use for this non-touring makeup look right here! 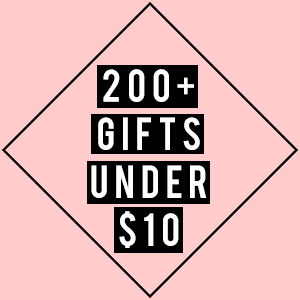 Just click the links or the picture below and it will take you to a few of my favorite makeup shops (Sephora, Ulta, Nordstrom) and directly to the products I am featuring here!